Before I get into my fall to-do list, would you believe me if I said we finished painting all of our downstairs trim by Saturday evening? Billy told me I was in "beast mode" and I still can't believe we finished it all. Working with your spouse on house projects can really test a marriage...especially when you both have two completely different work methods. Billy goes extra slow (he says it's because he wants to do it right-but to me it seems like he moves the pace of a snail) and I like to work faster and stay up late to get things done in a shorter amount of time. The key to our success this weekend was sending Billy to get Chipotle (because Chipotle cures all) so that I could work on my own for a bit and work faster without him making me nervous that I'm doing it wrong, and also having him tape while I painted. I'm tellin' ya-worked like a charm. We even managed to buy new doors and have some of them ready to be hung! Woo-hoo! OK-fall greatness. Every time fall comes around, I start planning things like crazy. My mind just goes nuts with all the fun things you can do. Living in Ohio in the fall is simply the best. Can not beat it. This was my to-do list last year, and I have to say this years is pretty similar because we loved everything we did last year and this list helps me "check off" all of the things we want to do. This was by far our favorite fall activity we did last year. A visit back is a must...including a stop at Boston's pizza on the way back for pizza and Blue Moon's. +Schedule and go to my 3 private horseback riding lessons! Sometime last year I mentioned to Billy that I would love to take horseback riding lessons (I used to ride a bit growing up and absolutely love horses), and last week I came home to him telling me he bought me 3 one-hour lessons. I am so excited! +Host our 2nd annual "Friendsgiving" - pick a date and send out an invitation! +Try a new recipe once a week - and add 3 new dinner recipes to our weekly rotations. I'm not going to lie, I slacked with my cooking this summer, but fall is the perfect time to try new recipes (hello chili's and soups! ), so I want to make sure I try some new recipes in hopes that we can add them to our weekly favorites. I'm making my favorite clean eating chili recipe tomorrow...yum! 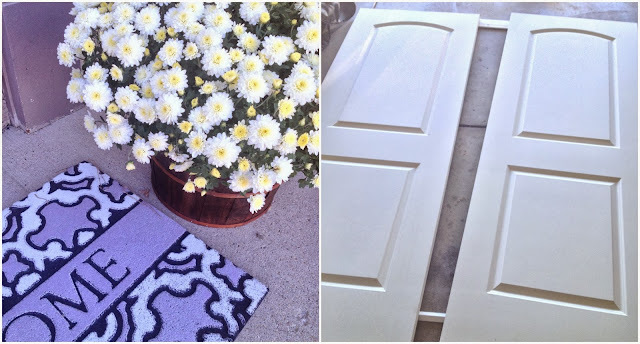 +Paint all the trim in our house (!!! )- HALFWAY FINISHED! +Get a new blog design-COMPLETED! Yup, that's right. KC&CO is getting a makeover. While I love my current design, it's time to clean this space up a bit and I know that this new design/brand is going to take my blog in the direction that I want it to go. I want this space to inspire and I feel confident in my decision with where it's heading and I hope you will love it, too! Compulsive Fall Disorder....99.7% sure that I have it. Do you? What is on your fall to-do list? *If you haven't entered my $75 Crystal Faye Giveaway-go enter! Love love love!!! Such a beautiful time of year!!! Omg that video was hilarious! #fallingforfall!!! That don't fall for fall video is too hilarious!! I sent it to my husband and he just kept shaking his head knowingly! I love your list! And that video is too funny! 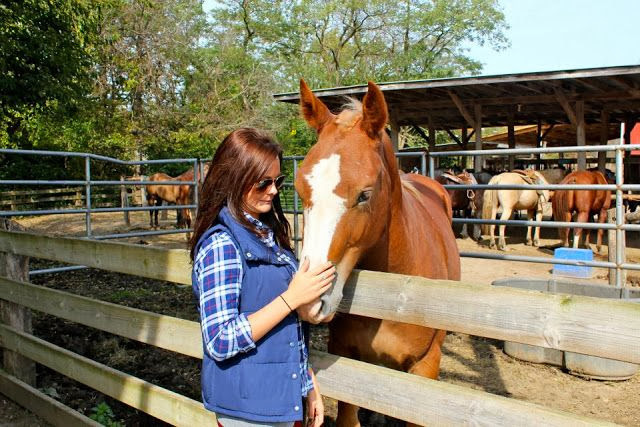 this makes me so excited for fall and now i really want to go horseback riding! haha love that video! It's beginning to feel just a smidge like fall here in Houston and we are all thrilled! We have lots of to-do's on our fall list. Have a garage sale, re-do our front porch railing, finish building our kitchen table and much more! Love this post! I am so jealous of your horseback riding lessons, I used to ride but it's so expensive! One day I'll get back into it, I just love horses! I feel like there is so much going on in fall and there is always something to do, I just wish it wasn't a reminder that winter is coming. UGH....haunted houses. Tony is obsessed with them. And chainsaws...OMGawd, they nearly give me a heart attach. I HATE them, terrified, almost in tears, hate them. And because I'm such a sweet wife, I'm sure I'll see them at atleast three haunted houses this season.... Love you fall to do list, have fun! We've looked into that Circleville pumpkin festival a few times, just haven't pulled the trigger yet. I am loving your to do list, such a great idea. I also love friendsgiving. There is nothing better than getting to celebrate thanksgiving for all your favorite friends. 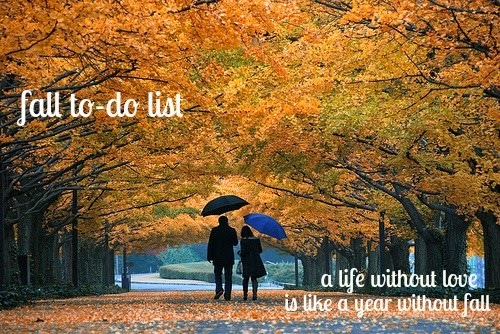 Love your Fall to-do list! 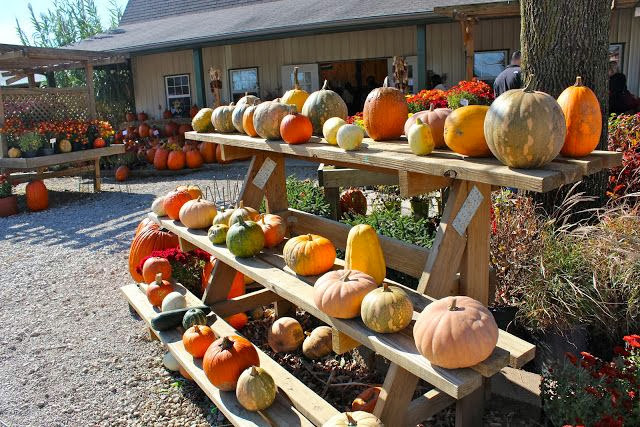 Can you believe that I've never been to a legit pumpkin patch!? I think I'm going to need to find one this year!! Happy Monday! omg you and billy painting is kurt and i TO A TEE. I'm exactly like you. at one point while kurt was painting our kitchen up by the ceiling i actually tapped my foot like "COME ON THIS ISNT THE SISTINE CHAPEL AND YOU ARENT MICHAELANGELO"
and YES to your chili!!! cant wait to see the new blog design!! You would think the painting thing would be the opposite way around with the girl wanting to take her time, but it's not! Chris and I were the same way when we painted the new place haha! The horse lessons sound so fun! Props to Billy for that one! I think I have Compulsive Fall Disorder, too! Haha, it's definitely a thing! I've got a to-do list just waiting to get published, and it looks kind of similar to yours :) I can't wait to host my second Friendsgiving this year, too! Aren't they the most fun? Happy fall, girlfriend! I'm so excited it's officially fall! Even if I do live in South Texas, which means I will be rocking my boots on a regular basis in 90 degree weather! I can NOT do the haunted house thing though....they literally scare me to TEARS, and you know what happens when those guys see tears? They purposely try to scare you more....eeeeeek. The key is definitely sending the husband away. When we bought our entertainment center, I had the first piece put together in no time. Chris got home and the house looked like a bomb exploded and we really 'tested' our marriage! Hahah! I blame Ikea and all their parts.